The medieval 'Jesse Window' in the Denbighshire village of Llanrhaeadr is a marvel. 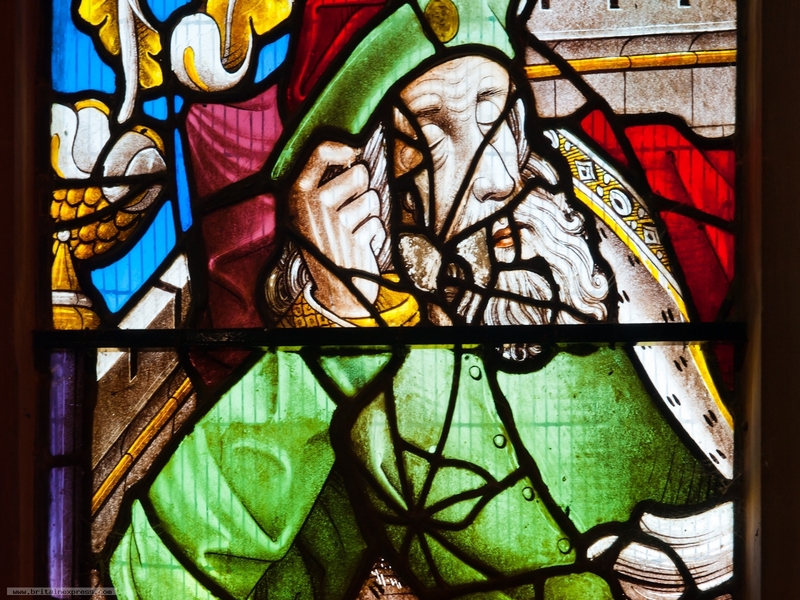 The glass is so clear and colourful you'd think it was made last week, not 500 years ago. Here is a closeup of the figure of Jesse, at the base of the window.